Thread: Taking out the action - change of POI? I would definitely be checking the zero before hunting with it, any change in how it sits in the bedding or on the torque of the action screws could potentially affect the poi. I take mine on and off all the time with no POI shift. Wooden stock there is likely to be some change due to water swelling the wood, this will settle back down when the timber returns to equilibrium. Synthetic stock no unless you over tighten or loosen off the action screws. Like tikka I regularly take mine out to clean the crap, leaves and twigs out of the barrel channel then put it back with no change in poi. I done even torque the screws, I just have 2 witness marks that I align. Some do, some don't. You'll have to check to be sure. Gibo, matagouri and dannyb like this. This used to be a big No No but in recent years with rifles like the Tikka on plastic stocks I've heard of the point of impact going back to within 4 or 5 cm at 100m when the stock is put back on. My Sako 85 does. So it should be OK for a bush hunt. Try it out on the range a couple of times and you might find you can just do it and save some ammo and petrol resighting over the years to come. 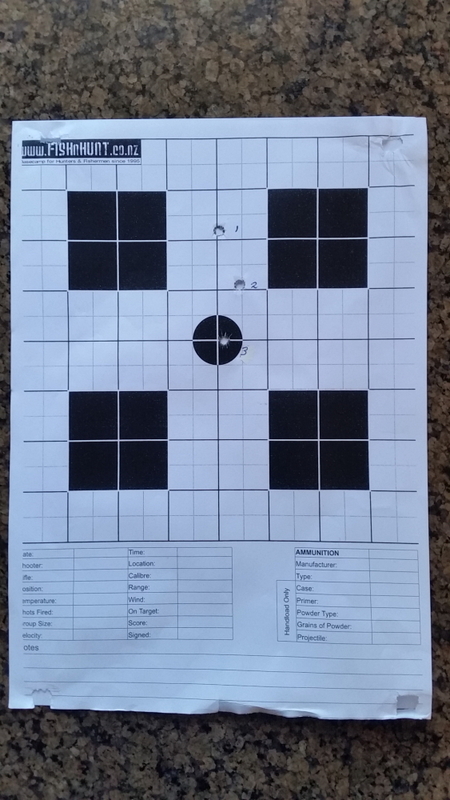 Do recheck your point of impact with a 5 shot group every 6 to 12 months too even if you haven't done anything drastic and that will give you confidence your rifle holds zero or at least you know how much it wanders (shouldn't be more than 2 or 3 cm from one session to the next, assuming you are shooting a 5cm group of 5. For those that have no POI shift are you using a torque wrench to get the same ft/lb of pressure or are you going off purely by feel? The main point with the T3 is to make sure the recoil lug goes back into its slot correctly,its a tight fit on the plastic stock and I see a few come in for work where the owner has put the action back in the stock and its not bedded in the lug hole correctly.If its in the correct spot the vent hole in the side of the receiver should be just above the stock line and no more. Almost all rifles will change POI when you take them out of the stock. One trick is to mark where you have the action screws turned to with a marker, and then match that exactly when you put it back in. This usually will result in the change only being in elevation, it seems to reduce the left and right. I don't know why that might be so. Then when you get to the range fire a couple of shots before you shoot at target -to settle it back into place. This process seems to reduce the amount of difference you might have to correct for. You will always have to check zero after taking it out of the stock. An observation I have made is that less recoil seems to mean less of a change in my experience. time out and dannyb like this. Im taking up knitting !!! !